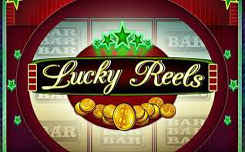 Slot Lucky Reels, has three reels and 5 paylines. During the spins there are game symbols of only two kinds: various bars and sevens. Drums can hold up to 9 elements, but as a rule, appears only from 3 to 7, and the remaining places remain empty. However, these fields are able to form their own combinations. 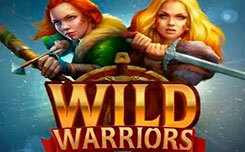 In the slot are available: risk game, wild symbols and automatic play with a maximum jackpot in 5 thousand bets. 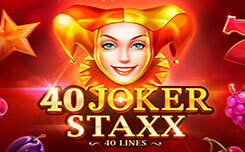 Before starting the game, the user must specify the number of active lines and the bet size for each. If you want to play in automatic mode, then you should use the Autoplay button, pre-selecting the number of active lines, the bet size and the number of spins. When you receive a prize of any denomination, a golden coin with the inscription Gamble appears on the lower right of the interface. Clicking on it, you open a risky game mode, where you can double your winnings. In each round, you risk losing your previous winnings. The Collect button is used to exit. 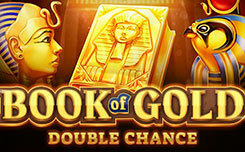 This slot, primarily designed for novice players, since here everything is intuitive and extremely simple. There are no bonus and scattered elements in the game, and the winnings are ensured by the ease of composing the prize combinations.